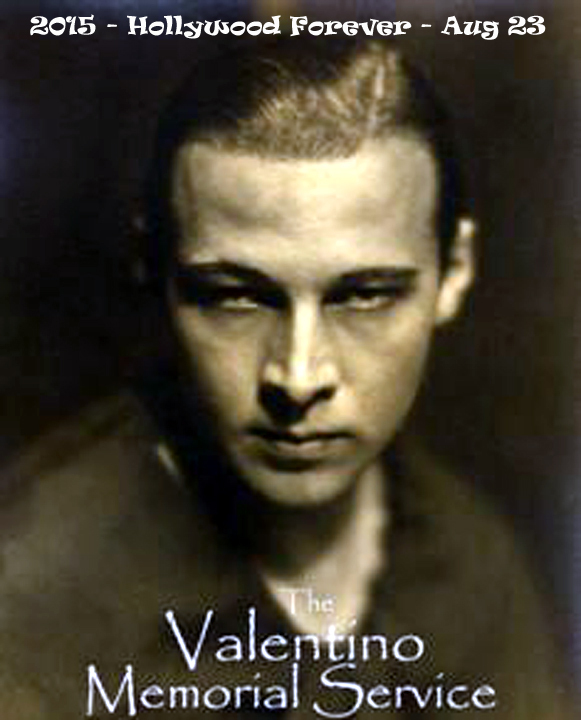 The 88th Valentino Memorial will focus on the "The Eagle" (1925) and Tracy Terbune will display some of the fabulous pieces related to the film will be on hand for viewing. Filled with videos, song, poetry and tribute, the Valentino Memorial is the oldest continuing annual event in Hollywood history. YouTube has a number of uploads, you might like to watch it again. The day to remember will be August 23, 2015 at Hollywood Forever Cemetery; 6000 Santa Monica Blvd., Los Angeles, 90038 (between Gower St. and Van Ness Ave.) The service starts at 12:10pm (the time that Valentino passed a way) and admission is free.